In 2015 and 2016, Apple aggressively expanded its retail presence in China with 30 new stores, according to the Apple Storefronts tracker. Since the start of 2017, however, Apple has opened just five new locations in the country. The Information's Wayne Ma has shared a report today that offers explanations for the slowdown, including China's bureaucratic government, scalpers, previously-reported fraud, and increasing competition from Chinese smartphone makers. The report is based on interviews with 17 former Apple employees. Apple had to navigate a maze of government bureaucracy to obtain everything from business and tax licenses to construction, fire and customs permits for imported building materials, former employees say. The regulatory framework in China is far more complicated than in the U.S., with many more layers of government, these former employee say, and it’s far more opaque. Employees frequently scrambled to chase down permits and local approvals to keep store openings on track, they said. Apple executives worried they were losing control of the customer experience in their stores, and along with it opportunities to interact with real consumers. The scalpers showed little interest in the accessories and add-on services Apple likes to offer customers. Other factors, according to those interviewed, included low-level government officials asking for free iPhones and other products as a form of bribery, a tug-of-war between the Beijing and Shanghai local governments over taxes, and a vibrant gray market for iPhones smuggled from Hong Kong. As a result of these difficulties, Apple is said to have "abruptly changed" its retail expansion plans in mainland China in 2017, resulting in the dramatic slowdown in grand openings. 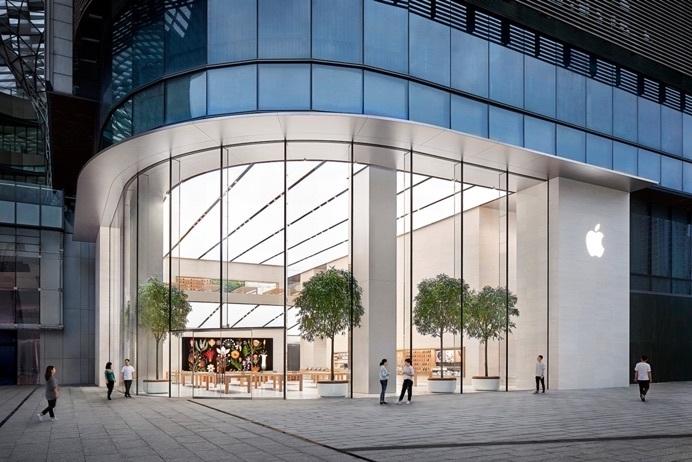 Apple's latest store in China opened in the city of Suzhou on September 21, coinciding with iPhone XS and iPhone XS Max launch day. Last quarter, Apple brought in revenue of $9.5 billion from the Greater China region, including Taiwan, Hong Kong, and Macao. Greater China accounted for 17.9 percent of Apple's revenue in the quarter, making it the company's third largest market, behind the United States and Europe. This is the most exciting Apple-related thing that has ever happened. WHAT!!?? Fraud!!?? In CHINA!!?? I just can't believe that! But it doesn't matter...soon there will be an Aple Store right next door, backed by the Chinese Government. Trying to decide how offended I should be. Why, are you yellow, or a cow? China is all over the MacRumors site today. Why are scalpers known as Yellow Cows? So anything China related is automatically in the social and political forum? That was the most interesting part of the the story for me. Actually, they have been all over MR for a while now, I just can't remember it ever being a positive story for Apple. If Apple's push into China ends up working out for them, it will look like a genius move. So far, it looks like it is nothing but problems. Probably because every China related story on MR, including this one, involves something political. alot of these low-level gov't officials grew up with the peasant revolution and therefore don't have an education, its really a dog eat dog world over there often times. I think you are making a moo-t point. Tim Cook is Chinas puppet.